Bird watching is the most dwindling experiences anyone can have in his/her lifetime. 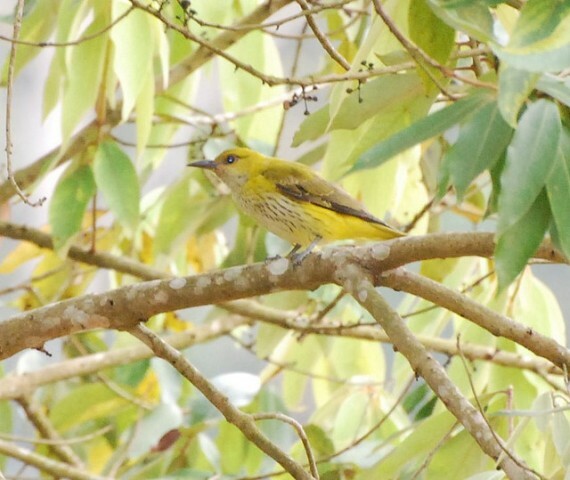 Imagine, observing the tweeting and chirping birds all around you and playing comfortable in their independent vicinity, this is something the most rewarding achievement one can have being an ornithologist or a bird-lover. One of the most demanding lands for the avi-faunas; where the bird lovers can find tremendous options of bird-watching tour. 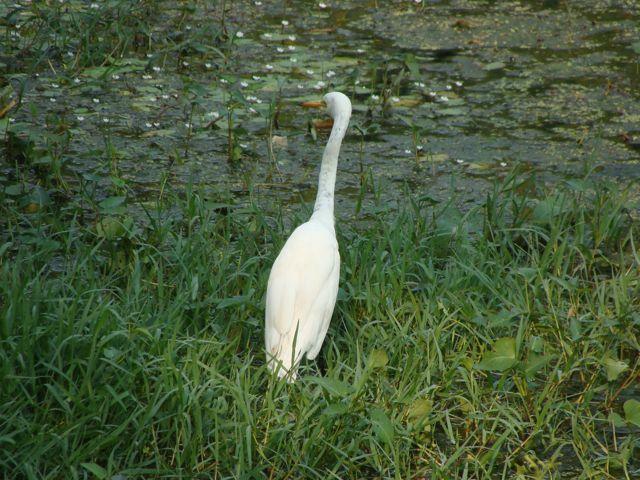 The land of Bharatpur in the Royal Rajasthan dynasty to witness more than 400 counts of bird-species in the surroundings including the migratory species of Siberian Crane and is being considered as world’s best bird area. Locally termed as Ghana (meaning dense) National Park due to its dense and lush areas, this 29 km of World Heritage Site comes with a combination of wetland, woodland, grass and scrub all around. The astounding Bharatpur Palce, Government Museum, Lohagarh Fort, Deeg Palace are the other features of Bird watching tour in Bharatpur to enjoy the Bharatpur trip at the extremities. The land of the royal Bengal tigers, Corbett being designated as India’s first national park under the tiger project and a genuine paradise for the bird-watchers to witness around 600 species of birds all around the Ramnagar vicinity. 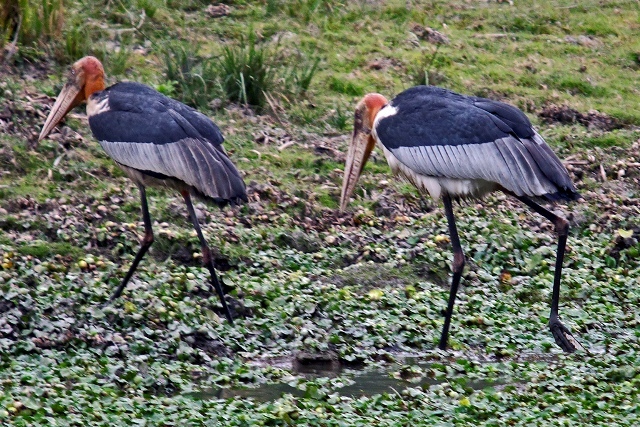 The most prominent bird species are bareheaded goose, snipe, gull, duck, grepe, graylag, wagtail and sandpiper, raptors, darters, egrets, black-necked stork and cormorants are commonly seen at the area of 600 sq km in the Western Himalayas. 72 kms away from Kolkata, the land near the Bay of Bengal brings astounding greenery to majority of floras and faunas and especially attracts the avians at Sunderbans National Park at an area of 2585 sq km. 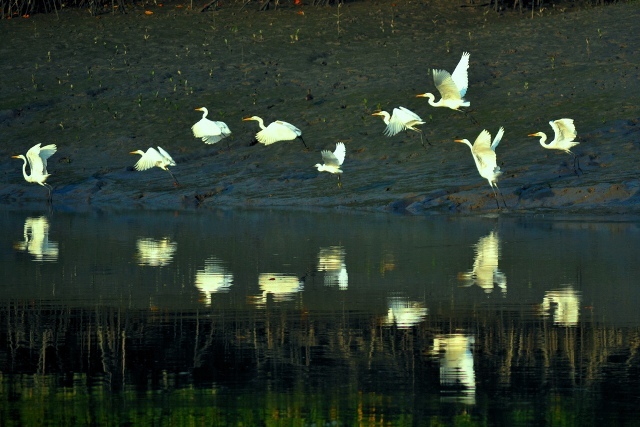 The world heritage site known for the mangrove forest is filled with tremendous counts of bird species including White ibis, Heron, Egret, Cotton Teal, Brahmini kite, Tern, Curlew and both the countries- India & Bangladesh. The Indian Rhinos can be found in abundance in the area of Golaghat and Nagaon district of Assam, also with highest density of tigers and a perfect land near the Brahmaputra to thrive tremendous birds all around. Enjoy an elephant ride to catch the deadly predators, mammals and the most prominent bird species including Pallas’s fish eagle, black necked stork, lesser adjutant stork, grey pelican, Bengal floricans, grey peacock-pheasant and green imperial pigeon. The protected area in Idukki and Pathanamthitta Districts, the Tiger Reserve which is best known as the Periyar Wildlife Sanctuary is stretched across the total area of 777 sq km with 350 sq km area as the core area of Periyar Sanctuary in Kerala. Periyar boasts around 330 species of birds out of which like Darters, the Malabar Hornbill, Kingfishers, Cormorants and racket-tailed Drongoes are well known. 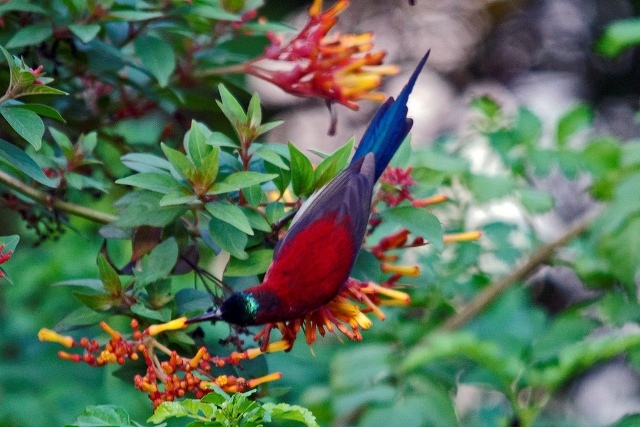 So, when you are in India and crave for the bird watching tour, these good spots will really bring colors to your wings. Check them out and add these bird destinations in your touring list to explore the avians flying all around you.